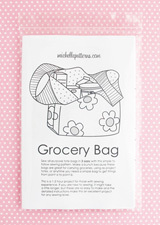 Here is another way to make a patchwork grocery bag, and it goes a lot faster since there are only three pieces patched together for each side. On the other side the layout of the pieces is different, but the fabrics are the same. Super easy! 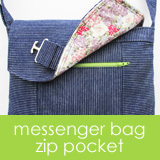 This one is made the same basic way as the other patchwork bags (i.e. pieced to a base of muslin). 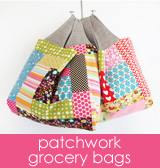 Click the patchwork grocery bags image in the right column to go to the blog post.